Eddi & Ryce Photograph Second Life: A Great Day For this ATI Card User! 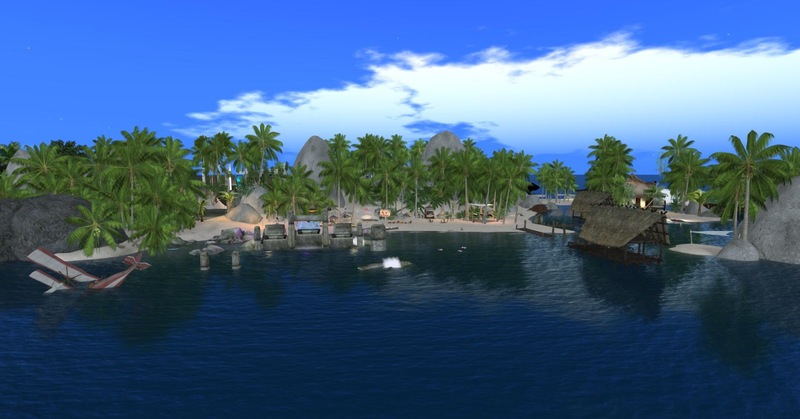 I Can Use the Second Life Official Viewer Again! A Great Day For this ATI Card User! I Can Use the Second Life Official Viewer Again! 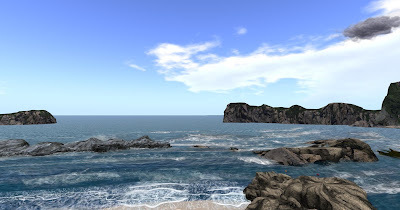 I can use the official Second Life viewer again! Easily, and for the first time in well over a year. Here is my situation. I am an ATI card user, not an NVDIA user. My desktop - a very good Gateway FX 6803 (also known as an Acer Predator) came with a high end ATI 5850 card - still one of their best. It should, theoretically, run Second Life on ultra at maximum distances. However, it has not been able to do this. In fact, until today, it has not been able to run the latest viewer on anything. Take a look at the photo above -- this is what Firestorm and the Official SL Viewer looked like with an ATI card. The problem is that ATI cards do not work with Open GL well-- one of the base technologies SL viewers use. You need an NVDIA card for proper performance. Water reflections and Windlight simply did not work. Graphics were horrid, especially for me -- I am a landscape photographer. I have been using a non-current rendition of the Exodus viewer that works with Windlight. However, it is not the most recent version, and will not work with the latest SSB code once it is introduced (server-side baking). Everything changed today with the official latest SL Viewer. I upgraded my Catalyst drives (the ones that run ATI and AMD graphics) to 13.1, the latest iteration. 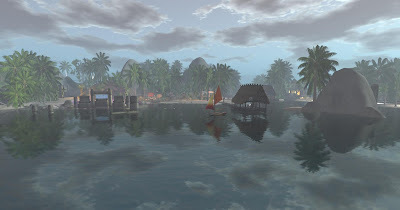 I then downloaded the latest Firestorm and Linden Lab official viewers for windows. I first tried Firestorm. No change. By the way -- if you read their official blog things really seem a bit depressing. I wonder if too many cooks are spoiling the soup so to say by putting too many features in Firestorm. I then tried the newest SL Viewer for Windows. It works! Take a look at the photos below and look at how good the water looks! The reflections are normal, and the atmosphere is now correct! I am going to now try to get adjusted to the Official SL Viewer I am not sure if my problems were solved by updating my Catalyst drivers, or simply moving to the latest viewer, but I am do not really need to know -- SL simply works as it should for me. Hallelujah!